This year, add a J-horror touch to Halloween with this handmade and hand painted papier mache mask. 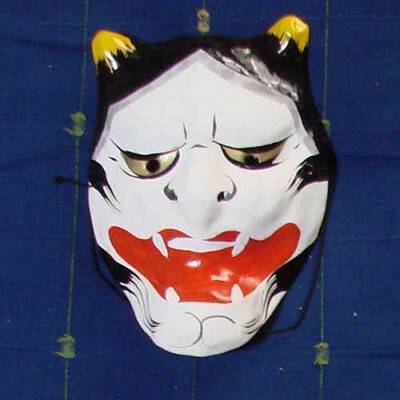 In kabuki theater the Hanya represents a woman who has been consumed by jealousy and transformed into a demon or oni. It is a popular image in tattoos in the west. This frightening demon mask is perfect for Halloween or to ward off evil spirits.